Kingston upon Thames is a town in county of Surrey in South West London. It has a population of around 44,000 people and banks the river Thames. Kingston is a university town with a vibrant student population. 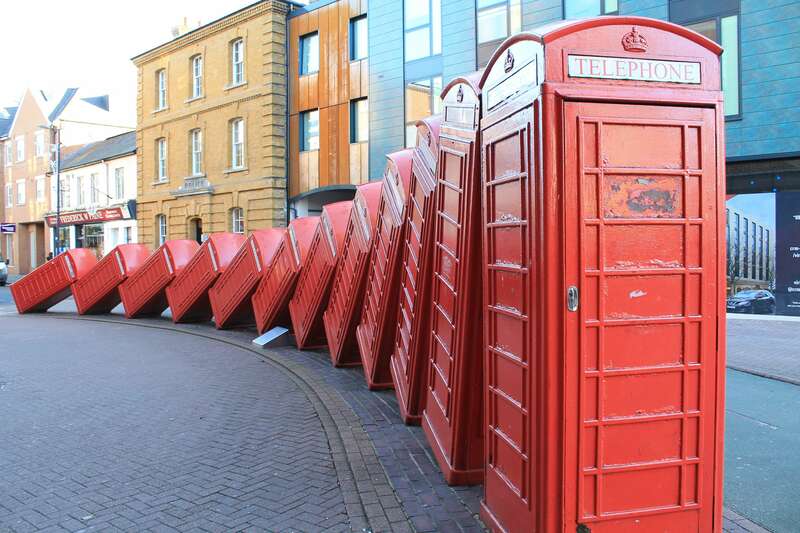 Kingston’s landmark is David Mach’s “Out of Order” which is red telephone boxes leaning in a line, a stunning sight. Kingston has an impressive number of excellent schools and is known as the centre of schooling for London. Kingston has a crown court and many notorious terrorism cases have been heard in these walls. The Bentall centre is the major shopping centre in Kingston alongside John Lewis department store with a Waitrose and a variety of shops and boutiques that make up an excellent shopping experience in Kingston. A fifteen screen Odeon cinema complements the shopping for a complete leisure lifestyle in Kingston. Kingston has a variety of property with some amazing large Victorian houses. There are many 1930 semis and more modern homes. These are all ripe for Loft conversions. Touchstone Lofts are market leaders in Loft conversions and can create your perfect Loft conversion In Kingston. Fill in the form below and we'll call you back to discuss your requirements at a time that suits you. We have 3 regional offices in London Oxford and Solihull which allows us using your locally based teams to cover 50 miles around that office. © Copyright 2019 Touchstone Lofts (South) Ltd. All Rights Reserved.